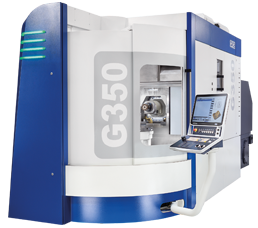 GROB SYSTEMS, INC. is a world class European manufacturer of high quality production systems and universal machining centers. The North American headquarters in Bluffton, Ohio specializes in the design and production of machines and automation for the automotive, aerospace, medical, and die/mold industries. Our parent company is located in Mindelheim, Germany, with additional production facilities in São Paulo, Brazil and Dalian, China. GROB has numerous offices and facilities providing sales, service and spare parts support to manufacturers around the world. The position is responsible for assisting the sales department with time studies and machining new customer parts to aid in new machine sales. The position requires strong mechanical aptitude and in depth knowledge of part prints and advanced skills in metal cutting principles. This position requires communicating directly with customers and up to 25% travel annually for training the customer to run their new machine. GROB offers a competitive wage as well as an excellent benefit package including vacation, health, prescription, dental, vision, STD, life, 401K, and shift premiums. If interested in applying please e-mail: employment@grobsystems.com. The main purpose of the Electrical Technician will be the implementation of all electrical related components and materials into the mechanical design of Grob custom machines. This position will need to directly interpret information delivered by Electrical, Fluid, and Mechanical Engineering to successfully assemble the electrical systems for Grob proprietary systems. The Maintenance Technician is responsible for performing highly diversified duties to install, troubleshoot, repair and maintain facility equipment according to safety and productive maintenance systems and processes. The ideal applicant is able to effectively organize and prioritize tasks whether they are preventative/scheduled or emergency in nature. Other general facilities maintenance tasks including snow removal, plumbing, office furniture repairs, basic office remodeling, etc. This position is responsible for the mechanical build and start-up of CNC Machines. This position requires occasional travel during machine installations and service (mostly domestic, some international) where you will interface with customers directly. The job function will be to manage projects from a technical, commercial and timing point of view. We expect this individual to have a solid background of our product, to develop supplementary quotes on its own and to update program schedules and be the lead point of contact to the customer. An extensive initial training program will educate the engineer into the Project Manager function.